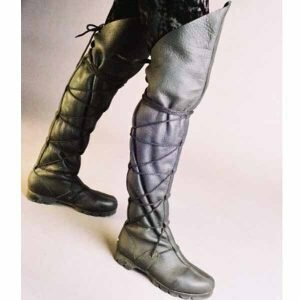 The Peasant Boot is our original full length boot design and remains a core offering in our lines for patrons seeking a premium leather boot without any fancy aesthetics. 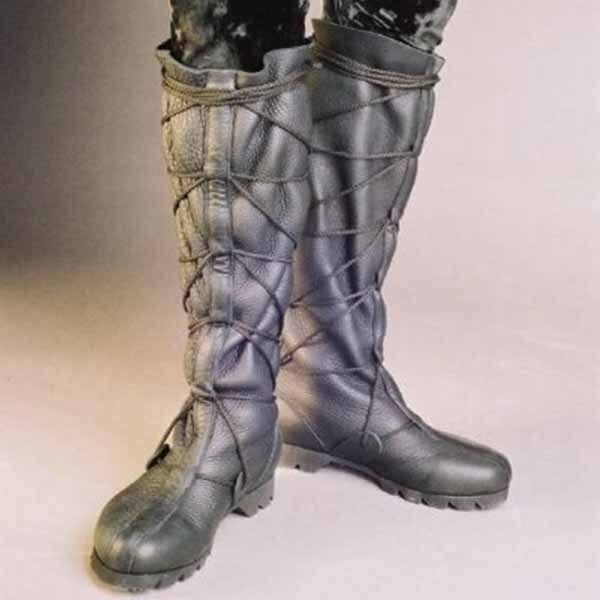 This is the least expensive full length boot we offer and is truly a boot built for utility, durability and comfort. 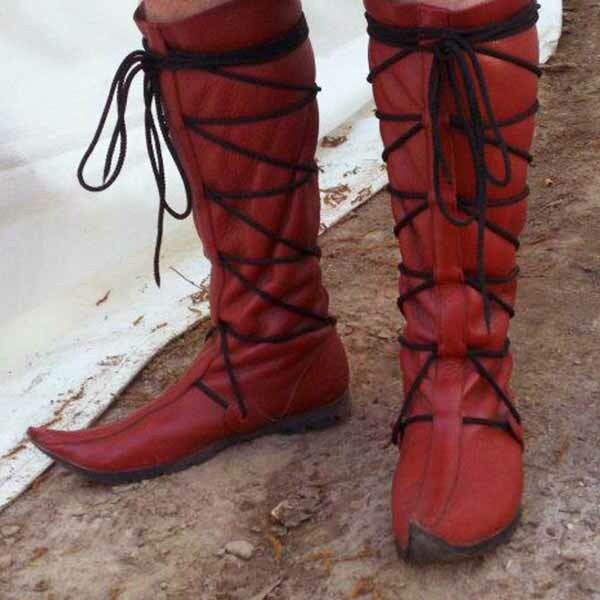 These are the perfect boots for a casual renaissance festival attendee or more serious utility oriented and active patrons such as SCA fighters and larpers. 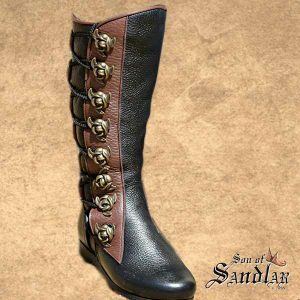 They are a favorite amongst our more cost conscious patrons as well as our more active patrons who are looking for the highest levels of utility from their ren faire boots. Base Color includes the sides and main portions of the boot. 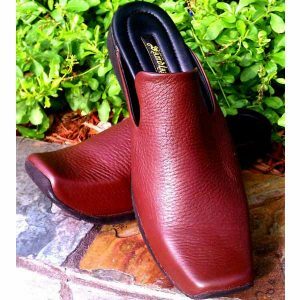 Trim color includes the front strip, back strip, heel cup and lace tabs. 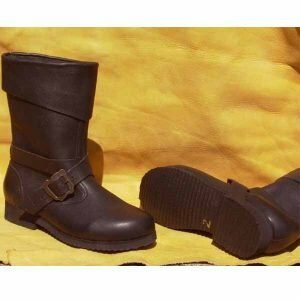 The Peasant Boot is a haft style pull on boot crafted from the finest materials and designed as a simple lace up boot that offers superior ankle support. 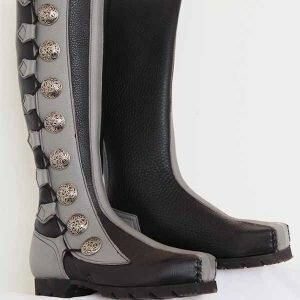 The unique lacing design supports the foot and leg through every contour around the instep, arch and calf to secure the boot to the foot. Similar to our more expensive boots, this boot is crafted from the finest premium materials. 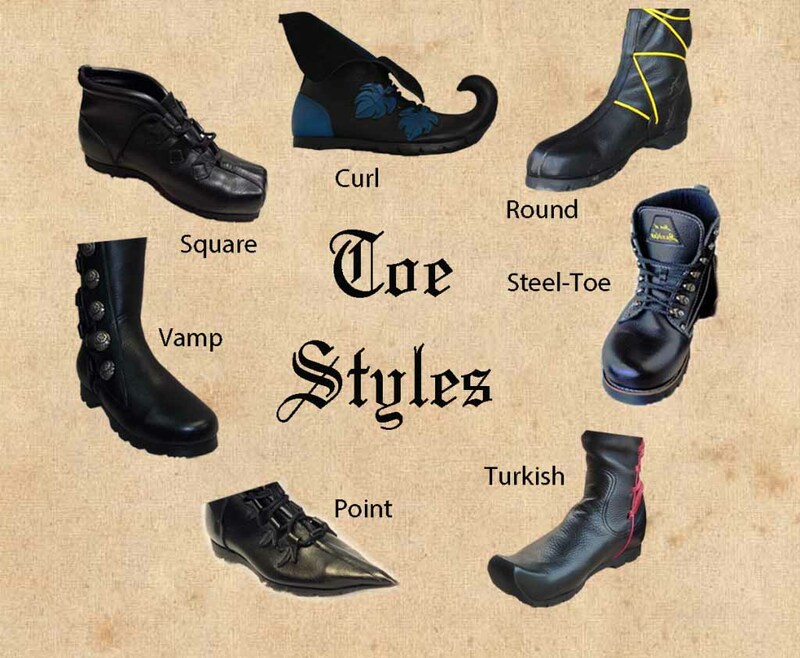 These boots can be special ordered with a steel toe for your heavy fighting and larping needs. We use solid cuts of bull hide to craft this boot making it better suited for poor weather conditions, heavy mud and bad terrain. 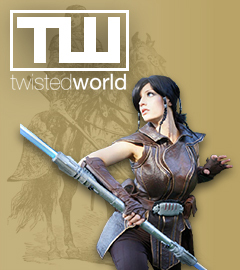 The soft leather provides a comfortable fit that lasts through the day’s events; while the thickness of the leather ensures durability to last through the years.